This entry was posted in Australia Immigration Visa Australia PR and tagged Australia Australia Visa Immigration Permanent residency on February 5, 2016 by Blog Author. Australia is among the most popular countries that provide immense opportunities and high standard of living that attracts the immigrants from all over the world. Most of the individuals who seek to visit Australia include students, skilled workers, entrepreneurs, etc. Many students come to Australia for pursuing quality education; some of those also plan to settle down in the country. Australia provides unlimited opportunities for those who want to live, study, work or settle down there. 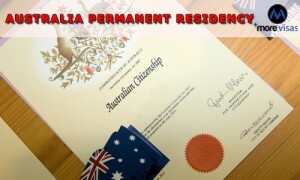 Many students who look to study in Australia can also plan to get their Australia permanent residency. After completing their graduation, students can apply for the Australian government’s Skilled Select Program. It is an online program that permits the applicants to submit an Expression of Interest (EOI) by providing complete information regarding them. For example their personal information, details of education, work experience, proficiency level of English Language, skills assessment details, etc. For graduate students, the best option is to go for the Skilled Independent Visa (Subclass 189). This visa is a points based for the skilled employees who are not sponsored by their employer or any family member. The applicants are selected based on the system of points test, and the applicants need to score a minimum of 60 points to get the eligibility. This visa permits you to work, get an Australia Permanent Residency and live in Australia as a permanent resident. After submitting the EOI, the applicant should take a skill assessment test for a nominated occupation. Students can also go for this visa after they complete their graduation they can go for this visa for gaining some job experience and skills in the language. With this visa students can take up an advanced qualification, can also enhance their skills in English Language and can also complete a Professional Year Program (PYP) that offers learning along with some job experience in many fields. Students who wish to settle down in Australia after completing their graduation can avail many benefits as a permanent resident.